US based Ghanaian rapper REEZON has called on the Ghana Music Rights Organisation (GHAMRO) to improve upon the royalty collection system in Ghana. According to REEZON, artistes in Ghana invest a lot of money in a song before it reaches the listener. Therefore once the royalty infrastructure in Ghana is improved, artistes would be able to live off their works. 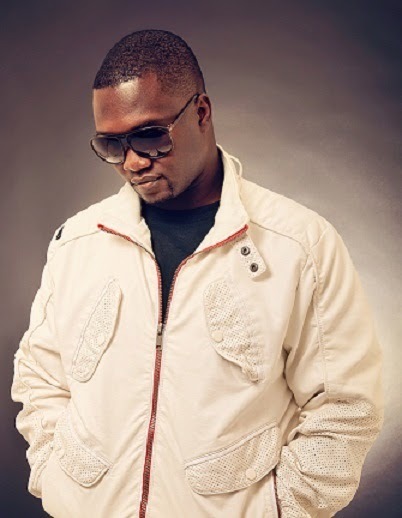 REEZON, who is known in real life as Richard Sowah, has over the years been putting Ghana on the map through music. He recently won the Best Music Video Award, 2012 and Best Male Artiste Award, 2013 at the Afro Entertainment Awards in Chicago. REEZON spoke to Nii Ogbamey Tetteh about his views on royalty collection system in Ghana and his experiences as a rapper residing in the US and Ghana. Where did you start doing music? I started in Chicago, Illinois, in the US, with strict Hip Hop rap and I did that for a while. My first album was a pure rap album. Then I transitioned over to Afro-beats, Afro-Pop and Afro-Rap to get more of the dancing feel and the club type of song. After my first album, I released ‘African Intelligence’, my second album, and that had a lot of Hip life, Afro-Beat type of songs. At what age did you start music? I started late, actually. I started when I was around 17 years. That was influenced by the Eddie Blay’s NFL group. They were my neighbours and I used to hang around them when they were rapping and all, till I went to school in the US. Have you worked with any local artiste? I have worked with multiple local artistes, like Chemphe and some underground artistes. I’m currently in the studio working with Edem. I have also done some collaborations with some Ghanaian artistes overseas as well, like Mobeats among others. What genre do you associate with? That is a tough one because it depends on the song, plus I’m versatile so it depends on the beat. You can say I’m a Hip Pop, Afro-Rap artiste because I mostly rap. Whenever there is a conversation or something, I become the voice of reason within a conversation. I just changed the spelling of my name because I want to be unique. The name came because I’m motivated to help people. I see myself more of a helper. I like to make sure there is peace, people are happy. When I started doing rap, it was more geared towards social conscious type of rap; it was more intellectual type of rap, not just the booty shaking and stuff like that but it was more like rap that makes you think. It gives you metaphors and educates you as well. This makes me the voice of reason—like someone who writes rhymes of reason—that you can understand and learn something from. Music suits my personality and I’m motivated to help people. Sometimes I’m able to put people ahead of myself. To be able to put out a record to inspire somebody is what motivates me. What do you think about the Ghanaian music industry? The industry now is better than before. It is grown and it is only grown because the economy was growing. It is also mainly because a lot of businesses are supporting the artistes through endorsement deals. That is where the money is coming from, that is where they are able to pay their bills. As the economy grows, the industry grows with it because now artistes are not making money from album sales. The problem in this industry lies in the guys coming up. How do they get there? The industry is also filled with ‘who do you know’. How do you work it to make it to where you need to be? And it is a lot of hard work. What do you think is wrong with our music industry? It will be the royalty infrastructure for artistes. GHAMRO and the entire collection system here need to be improved because we artistes go to the studio, pay for the beat, pay for the promotion and marketing. Forget about the talent, basically you pay to become an artiste. The only thing that can encourage the youth and upcoming musicians is the fact that you are able to live off music. Once the infrastructure is there, if my song is playing in Nungua there should be a way that they can say REEZON’s song is play in Nungua so he should get so amount of money for that. Because that is what the music business is about; that is where we strive as artistes. If that is not there, you basically killing the music dream. I went to school and I studied electrical engineering so I am an electrical engineer working in the US. So that is what I do to pay the bills basically until music takes off. Which artiste do you admire in the Hiplife circles? Well, the artiste I admire will be Reggie Rockstone because he didn’t just stick to music, he created a business out of it and he is doing very well. Which Hiplife artiste do you listen to a lot? EL . I listen to EL because I think he is versatile; he can do hiplife, he can do Bars. He has captured both genres in such a way that people who like the real hip pop, like his hiplife stuff and vice versa. I really like the way he is versatile. He released his BARS mix tape which was really good. He also has hits on the radio like the ‘Shelele’, ‘Hallelujah’ and others. When he started in Osu, I went to his studio to give him some bars for his mix tape he was doing. How is the experience like doing music in the US? It is not like Ghana because most of the artistes in Ghana usually are just doing music. That is all they do. But in the US, you wake up in the morning, you go to work, after work, you go home to eat and then you go to the studio till late night, then you wake up and go to work. We don’t have the luxury of being creative because sometimes you get off from work and you are tired. The second part is, the only means for you to get your music out is through the internet –like websites, social media and internet radio. It is hard to get it out there because there is no radio station that is playing 24/7 Afro-pop or Afro-rap music. It is all American music or UK-based music or whatever. The media and means of getting your music out there in US are tough. The only thing that has helped me is my determination, consistency and persistence to try to get the music out. Also for me, I made friends in the business. I don’t think I have any beef with anybody in the business so I’m able to flow with everyone. Which artiste do you look forward to working with? EL and maybe M.anifest .